GB 1966 Christmas 3d on American Topical Association illustrated FDC - SCARCE! GB 1966 Christmas 3d on American Topical Association illustrated FDC - SCARCE!. 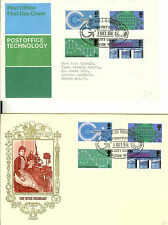 GB 1967 Single Stamp Christmas Issue FDC's - Rare Covers. Three single stamp FDC's. 1/6d stamp - Wessex Cover - Issued 27th November 1967 - In super condition. Queen's head in different positions on the 3d stamp. 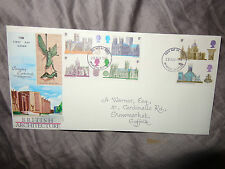 GB 4 x 1967/69 Single Stamp Christmas Issue FDC's - Rare Covers. Four single stamp FDC's. 1967 3d stamp - ConnoisseurKeith Tovey Cover - Issued 27th November 1967 - Superb Condition. 1967 4d stamp - Philart Cover - Issued 18th October 1967 - In very good condition. Great Britain Stamps 1969 First Day Cover Christmas. Dispatched with Royal Mail 2nd Class Letter. New listing2 x First Day Cover Christmas 1967 post marked Bethlehem, Wales! Issu ed 1st December 1966. 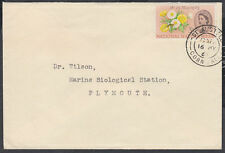 Original Information Card: YES (Envelope is sealed but card is inside). Maxi Cards were the forerunners of PHQ cards. They were printed in much smaller quantities and sets in good condition are becoming increasingly hard to find. Excellent condition. There are 5 decorative covers including one for Bridges, dated 29th May so not FDI, and 4 individual ones for the Anniversaries set all dated 29th May. We have just taken possetion of a collection of over 200 GB & Irish FDC's that we are puttingon the shelves on a daily basis. STOP PRESS 02/01/19. P lease Quote Our Ref: MT86. Be sure to add us to your favourites list ! See photo's. FOR EACH EXTRA COVER. Maxi Cards were the forerunners of PHQ cards. They were printed in much smaller quantities and good quality cards are becoming increasingly hard to find. Supplied in a board-backed envelope. 18 collectible stamp, Christmas Painting 3D, GB 1967, Used +6 more? New listingFDC 1966: Christmas Stamps GB 1966. 1st December 1966. Another rare cover.